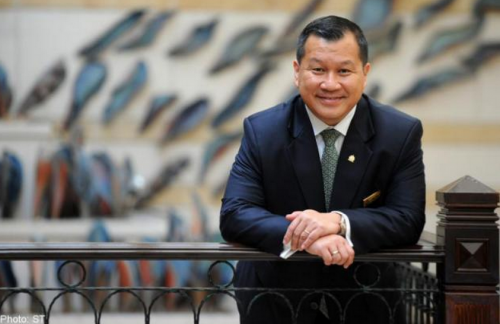 HOSPITALITY industry veteran Cheong Hai Poh has done just about everything in the business, from cleaning the floor at a fast-food joint to managing an entire hotel, so it is no surprise that his next challenge does not faze him. The general manager at Grand Park City Hall is tackling the most vexing problem the sector has faced for many years - how to groom a new generation of talent to support its growth. The initiative centres on rallying industry players in his role as chairman of the Hospitality Alliance Singapore (HAS), which comprises the seven hospitality associations here, including the Association of Singapore Housekeepers and the Food and Beverage Managers Association. Earlier this month, the HAS organised its inaugural employment fair where 16 hotel and restaurant operators received more than 800 job applications. Mr Cheong, 48, said he was very pleased with the campaign's outcome, but insisted that this is just the start of a long journey for himself and the industry. "What I envision for the future of the hospitality industry here is that more Singaporeans are able to take up PME (professional, managerial and executive) jobs and grow their careers in this business. "I also hope to see more local talent taking up important positions or even becoming the top man at hotels of local and international brands." Few Singaporeans are as qualified as Mr Cheong in trying to help the hospitality industry build a sustainable future. After all, he started in the business at just 16 with a job as a part-time cleaner at A&W, the American fast-food chain that left Singapore in 2003. 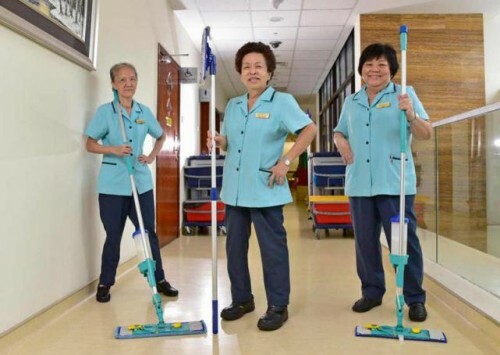 "One day, when I was sweeping the floor, a customer asked me for a glass of water. Wanting to help, I walked into the kitchen, only to be stopped by my manager who said I wasn't trained to operate the kitchen equipment," he recalled. But those humble beginnings did not deter his interest in the hospitality business and Mr Cheong aimed to become professionally trained after he completed his national service. "I wrote to 25 hotels to seek a scholarship to study for the higher diploma in hotel management. In the end, City Developments Limited (CDL) offered to sponsor me for my three-year study at Shatec (Singapore Hotel and Tourism Education Centre), during which I worked part-time at CDL's Orchard Hotel in its housekeeping department." From there, he went on to manage Orchard Hotel's catering sales unit before leaving to start his own restaurant near Bishan, a venture that gave him further hands-on knowledge of running a food and beverage business. He left after a year to join Shatec as a trainer. After re-joining Orchard Hotel in 1995 as assistant director of its F&B unit, he was poached by Hilton Worldwide and spent the next 18 years in the management of the brand's Conrad hotels in Singapore as well as in New York, London, Maldives and Tokyo. Last year, he left Hilton to join the Park Hotel Group as general manager of the Grand Park City Hall hotel. As Mr Cheong's career progressed, one thing has not changed - his excitement at the rewards working in the hospitality industry can bring, rewards that are so often overlooked by young Singaporeans today. "I like this industry because it's exciting. It's exciting to observe and handle all the behaviours and personalities. I see situations and I see emotions on the faces of people from all walks of life," he said. "That excitement - that learning process - remains the draw of hospitality jobs." Mr Cheong said he was not alone in having this feeling, with many Singaporeans highly enthusiastic about the service industry during the 1980s and 1990s when tourism was booming. But he recognises that times have changed along with Singapore's demographic transformations, and the industry is quickly losing its share of local talent, who tend to shun jobs at hotels and restaurants in favour of new and more glamourous opportunities. "Today, the most urgent challenge that we have is to stop the 'leaking' of trained talent. 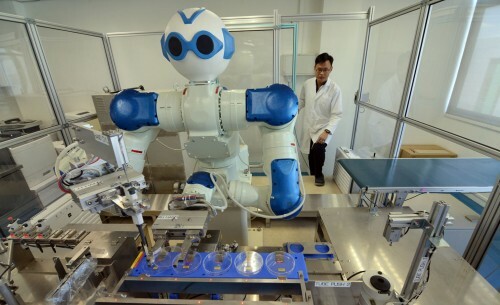 "Our polytechnics and the Institute of Technical Education produce a large number of graduates for the service industry, but I think 50 to 75 per cent of them leave or simply never take up relevant jobs because of other opportunities," he noted. Mr Cheong believes that there are just as many opportunities in his line of business, even if the work sometimes seems less glamorous. He said: "Any job - waiter or cleaner - can be a stepping stone towards a brighter future in the hospitality industry, as long as you have the perseverance and willingness to work hard and improve your skills. "I'm not saying that I'm an example of that success, but hopefully my experience can convince more Singaporeans to join this industry." 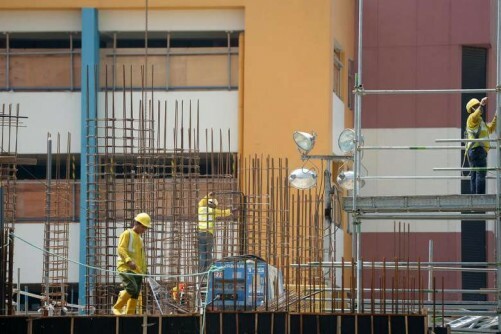 Meanwhile, industry associations are also joining hands with the Singapore Workforce Development Agency to educate the public and highlight job opportunities. The HAS employment fair this month was just the start of these concerted efforts. Mr Cheong will be a key coordinator in what will be a long campaign as he also occupies leadership positions at the Food & Beverage Management Association and the WDA, where he is on the board. That means a lot of extra tasks piled onto what is already a busy day job, but Mr Cheong shrugs off the notion that he will be overworked. "Once upon a time I was groomed by someone, before I could be where I am today. Now I have the capability to groom others, why not? If we don't, who will? How can we build a succession plan for the new generation to take over what we have achieved?"